Wake Forest Poet-in-Residence Amy Catanzano will spend April 16-20 as the 2018 inaugural poet-in-residence at the Simons Center for Geometry and Physics at Stony Brook University. In the week-long residency, Catanzano will be giving a public poetry reading, exhibiting a poem on topological quantum computation that she has written for the Simons Center, and visiting a class on the intersections of math and poetry in the Stony Brook Southhampton MFA in Creative Writing and Literature Program. 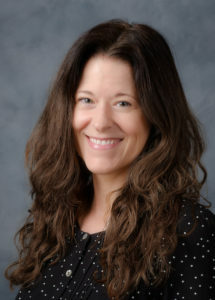 At Wake Forest, Catanzano is also assistant professor of English in creative writing and co-director of the Dillon Johnston Writers Reading Series.